Activated charcoal is very similar to the regular charcoal you can fire up your barbeque with, however it is specifically used for medical applications. It’s created by heating up charcoal using a gas that creates large pores in the mineral which trap chemicals. Activated charcoal is more traditionally used to treat intestinal gas, cholestasis during pregnancy, and lower cholesterol levels. It is odourless, tasteless, and can be purchased from health food stores and pharmacies in the form of tablets. The activated charcoal’s pores bind with rough parts on teeth, usually surface stains and plaque, making it easier to remove the yellowing substances. Once the charcoal has been given enough time to stick to your teeth, it can be removed and when it is, the mineral takes the plaque, food particles, and surface stains with it. 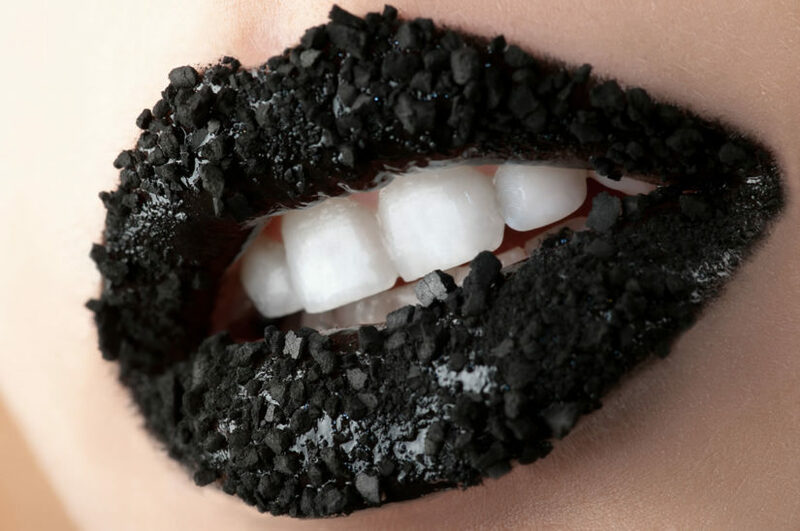 This is how the activated charcoal succeeds in whitening teeth – by getting rid of surface stains in one fell swoop. However, because it latches onto grittiness found on the teeth, activated charcoal does not change the colour of teeth that are deeply stained or naturally yellowing. For this, more drastic whitening measures need to be taken such as professional bleaching. The first step in whitening your teeth with activated charcoal is to purchase the mineral from your local health food store or pharmacy. Generally, the mineral is sold in tablet form so the next step is to grind up 1-2 tablets, which is about 1-2 teaspoons worth, in a container. Once the charcoal is a fine dust, add just enough water to form a paste. The next step is to apply the paste directly onto your teeth, which do not necessarily have to be clean, making sure to only dab or tap the mixture onto teeth, rather than rubbing it on, to avoid damaging your teeth. Leave the activated charcoal paste on your teeth for three minutes to ensure that it has had enough time to bind with surface stains on your teeth, then thoroughly rinse your mouth out several times before brushing your teeth clean.